I visited Bhagawat Vidyapith at Ahmedabad. Let me share a nice picture, from entrance of Bhagawat Vidyapith. Here is a translation for international readers. This poster describe important qualities that one should cultivate in life. These qualities, practices are like our parents, siblings, friends and our real asset. So I gave title to this article Family. Self dependency (doing our own work), practice (study), contentment, trust, detachment, religion (duty) are as important as our father. Mother: Goddess Sarswati (goddess of knowledge, wisdom and music), Goddess Gaayatri (Saavitri), cleanliness, service and surrender. Discrimination, self control, rules, convincing and discipline (punishment) are like our brothers. Who are our true friends? The scriptures, good company (company of an enlighten person), good qualities, intention to do good work, hard work and physical exercise. With such family members one can earn the true assets like: SAADHANA (regular spiritual practice), good intention, good intelligence, TITIKSHA (burning desire with patience), peace, devotion, faith and forgiveness. So I pray for you all of the above on this festival of light (Diwali). All the best. I attended a 3 days event FOSS-IN 2006. http://foss.in/2006/ One of the sessions was on about digital photography where the speaker Klayan shared his experience, gave some tips and suggested some steps to improve the photograph. Klayn Varma is a wild life photographer. His work can be seen at http://kalyanvarma.net We got year 2007 desktop calendar, which contains excellent wild life photographs taken by him. He suggested some open source tool Gimp, f-spot, g-thumb etc. He did live demonstration, he took our audience photograph, transfer to PC. He suggested to take the photo in raw format. Never take in auto format. Because, with auto format if camera does some adjustment then it can not be revert back. Gimp has some plug-ins to read row format files. Alas, the entry level digital camera model does not support raw format. Raw format means how the camera sees without any correction or optimization. When we saw on PC. The photo was very ugly. He explained the steps to make it better. Optimize the brightness. He demonstrated photos with different exposure and advised that in case of over exposed, some portion is saturated and we loose data. It is always better to underexpose and then increase the brightness. Now adjust color level. Optimize the temperature. The Red and Blue color balance is called temperature. Last do the sharpening of image if required. The sharpening number should be between 20 to 30 (may be in the Gimp tool). While cropping the image, always maintain this 3:2 golden ratio. If the original photograph has poor focus, and we want to improve the sharpness, off course we can use tools. However it will increase noise in picture. He suggested one better way. Increase the picture size by several % and then decrease it to its original size with help of photoshop. The decrease size algorithm will try to detect the edge, that will improve the sharpness. jhead is a command line tool, used to see the meta data of the photographs. One should save the meta data along with photograph. We have heard about SLR cameras. He suggested one more better lense cost around 5000, it is '50mm Aperture F 1.8 prime lense'. He also highlighted some issues with proprietary file format and support from the vendor for old cameras. One person from the audience was from analog photography world. He added some relevant information, like 'dourge and burnt' tool at Gimp, here this phrase originally came from analog photography and what does it mean in the roll development process. Klyan also confesses that yes, he do not know much about analog photography. He himself was carrying big size of cameras. He was explaining its feature, outside of the conference hall. Overall it was quite interactive, informative and useful session. So today, our blog "Express YourSelf!" completed one year successfully. :) It could survive with new articles consistently. Yes, I am not frequently blogging. It is not daily or weekly, may be fortnightly. Let's recall this First Post on my blog. As the name suggests, I started this blog, to express myself. Writing a blog is a new trend nowadays. So me too.... At the end one year, I can see, many articles about event reports. Yes, I used to write about musical concert to my friends. Later on, I started uploading them at my homepage. Now on blog. Few friends, inspired me to write. Thomas L. Friedman inspired me with his book The World Is Flat. Now, there is not traditional model of journalist, editor, media. An individual can cover any event OR take celebrities' interviews, with his/her mobile, post it at blog and form a community around it. In addition to event report, I wrote about my poems, my technical learning, my thoughts on science and spirituality, festivals, music, culture, traditions, Google gadgets, book review etc. Much more to come. I am keep modifying this blog's design. On my Birthday, I kept sideshow for B'day pictures. However I avoided sharing about my birthday gifts. I received three unique special gifts, this year on my birthday. So let me address your feedback. I did it with Aap Aur Ham - 1 After that, not much comments. One day workhard read many of my articles and my friends' blog also. Sudhir, workhard and Hiral appreciated Concave Mirror. Thanks. It is similar to my earlier article Music of Mind. I covered Hans-Peter Dürr's speech at We Experience More than We can Grasp post. Abhay Suggested it to post at Yes+, while and Parth and Hiral discuss further on the topic. So far, you all readers have encouraged me. Thanks to all. Now, let this blog enter to second phase. Now I will make sure, more articles, frequent articles, useful and diversify content. Generally blog provides a platform to discuss some issue/topic and collaborate. I wish to collaborate for writing. I am inviting readers to be author or co-author for this blog. I will also write on other's blog. You will see join ventures very soon. Bellur Krishnamachar Sundararaja Iyengar popularly known as Yogacharya B. K. S. Iyengar visited Bangalore recently. He founded the world popular - Iyenger Yoga. He is Padma Shri, Padma Bhushan, amongst the Times list of world's 100 most influential people. At age of 90+, he is still upright, spirited, talked passionately about Yoga. He shared some useful tips and insights to Yoga practice. His memory is razor sharp and voice is as if he is just 45. He is very loving, fatherly, jovial, humorous and very humble-down to earth. On Teacher’s Day, 5th Sept, in a function organized at R.V. Dental College, Bangalore, I had this opportunity to listen and learn from one of the best Yoga Gurus. He gave an excellent speech about 'Samadhi Pada' chapter from Patanjali Yoga Sutra. Here is the glimpse of the speech. Please note, this is not verbatim. I have tried my level best to reproduce the content as per my understanding and memory. Corrections, Suggestions and comments are welcome. He delivered his speech with standing posture. His speech was scheduled at the end of the function. It was quite late and some people from audience had left. He politely conveyed sorry and he skipped some of the points due to lack of time. He talked in English for the benefits of foreigners. He also acknowledged and appreciated that the foreigners had listened and ‘tolerated’ so far to us, as our programme was in regional Kannada language. Patanjali Yoga Sutras are divided into 4 chapters or books (Sanskrit pada), containing in all 196 aphorisms. 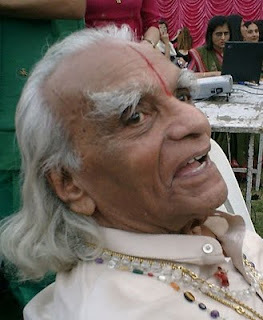 Dr. Iyengar continued, “VAIRAGYA is non-attachment or freedom from desires. VAIRAGYA is not renunciation. Many times VAIRAGYA is wrongly interpreted as renunciation. These two methods are like support. Just now you saw how Arunji demonstrated Yogasana with support of chair. Same way with this two supports we can overcome five (or four) modifications/distortions of mind. ABHYASA also means awareness. Awareness about our body, breath. When you read KAN (atom) in ancient Pantanjali Yoga Sutra text, it is in fact cell, not atom. Are we aware that our body is made up of many cells? This awareness about each cell is knowledge. It is energy. Our body's each cell has energy, awareness and knowledge. Avidya (ignorance), Asmita (the feeling of individuality which limits a person and distinguishes him from a group), Raga (attachment or passion), Dvesa (aversion) and Abhinivesa (the instinctive clinging to worldly life) (Footnote 3) are the causes which create Klesa - pain. He continued with few more warnings for all Sadhakas (seekers) about such obstacles. “Prior to applying these two tools namely Abhyasa and Vairagya, we need devotion, faith in God (Ishwara Pranidhana). It is the first step for spiritual journey. Thus Patanjali’s Yoga Sutra, looks like it talks about knowledge (GYAN YOGA). However it covers all the Yoga - Devotion (BHAKTI YOGA), Action (KARMA YOGA), and RAJ YOGA.” He also mentioned about different types of SAMAADHIs and he explained all of them. Dr. B.K.S. Iyengar talked about Guru (the master). "Yes we all have Guru Parmpara (Guru, then Guru's Guru, Guru's Guru's Guru and so on). When we track it backwards, the first Guru is nothing but sound of OM. 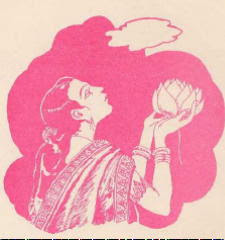 OMKARA, PRANAV sound. A+OO+M. Even Patanjali says, ’I am that first Guru and I am the God’...."
Then he explains the three aspects. "OM means A, OO and M. Breath has three aspects. Breath inhale (POORAK), hold it (KUMBHAK) and breath out/exhale (RECHAK). If you just breathe in and in and in then hold. It will not work. You need to breathe out as well. Same way, ASANA (postures) have three stages. Enter into the ASANA (posture), stay there and exit that ASANA (posture)." I first time heard this commonality between AUM, PRANAYAMA (breathing exercise) and ASANA. He remembered his Guru. Sri Tirumalai Krishnamacharya "On those days, Yoga was not popular. So they faced a difficult time and financial trouble. Today, I am proud of myself that I have made Yoga as means to earn livelihood for many people." He concluded that "the complete programme consists of three BHRAMAs. 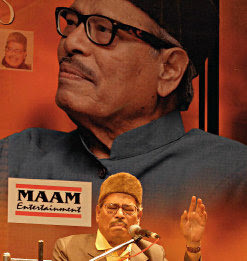 First was classical music that was SHABDA BHRMA, second this knowledge session - GYAN BHRMA. Next you all are welcome for dinner. It is ANNA BHRMA"
Now let me provide some context about the event. It was silver jubilee function of Prashant Yogashraya, Bangalore. Dr B K S Iyenger had specially come from Pune to bless the occasion. The institute invited all the students and alumni from across the globe. This function was open to public and I am thankful to Dr. Sejal Shah for informing me about it and inviting for it. She is a Yoga teacher. The programme began at 5:30pm with wonderful classical-instrumental music. Yoga teacher Arunji, Director, Prashant Yogashraya gave superb demonstration of different Yogasana sequence (postures) in standing position with props like chairs, blankets and belt. Doing asana with the support of different props and in certain sequence are the unique features of Iyenger Yoga. Arunji informed that, "We can perform about 80 Yogasana (postures) with such supports. Supports make it easy and still we get benefits of those Asanas." He is very popular among the students may be due to his sense of humor. We saw journey of 25 years of Prashant Yogashraya, with a short video clip. 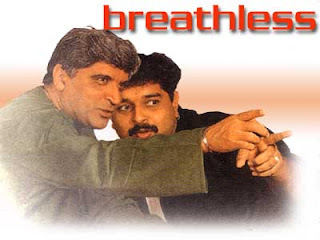 We saw many testimonials including Mr. Nandan Nilekani and his wife, Mrs Rohini Nilekani. 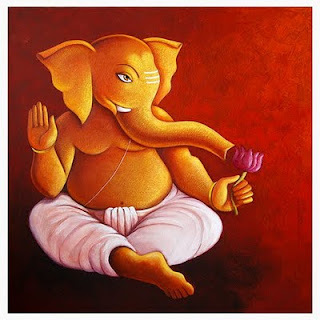 Everyone wished all the best for Prashannt Yogashraya. We all welcomed Dr. B K S Iyengar with candles. Ms. Shreya as an anchor naturally announced all formalities. Mrs Srimatha Arun (Co-founder, Prashant Yogashraya) gave a very touching vote of thanks. Dr. Iyengar delivered another lecture at Prashant Yogashraya. He stressed on being very watchful while performing Yogasana. “Yogasana is not just physical exercise similar to work out at gym. One should not perform Yogasana mechanically. You need to be watchful, attentive and alert when doing asana. Be aware and involved. Your awareness should pervade in your entire body including tips of your fingers and toes. This will help you to correct yourself if you observe that you are doing something wrong. This correction is very important. Make sure, your left and right hands are aligned when you raise them both. Make sure, all center points of body remains in one line. You should be actively working on your muscles. Observe your body and keep doing self correction, by paying attention. This it self is meditation. Be as perfect, graceful and steady as possible. Yes, flexibility of body and physical perfection for Yogasana is important. However more important is the state of your mind, Meditative mind. Your flexibility might be excellent but if your mind is not attentive, you are merely doing some physical exercise, not Yoga. With this kind of meditative practice once you achieve sufficient mastery over asanas, and then prefer to move to next stage of Pranayama and Dhyana. If you just do pranayama or dhyana and not do asanas, it won’t help you much and may harm also. Pranayama generates the energy, while asanas distributes it in the entire body. Avoid rushing to higher stage without preparing your body for it. Prepare your body and mind with Asanas, Yama, Niyama first..” He requested Arun sir to perform Shirsasna and then he asked him to do some corrections to demonstrate what meditative Shirsasna is. 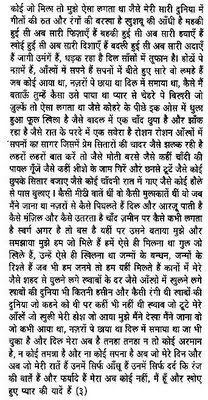 I wish that all readers and the yoga sadhakas find this article useful. I have given some hyperlinks for the benefit of more interested readers. Also look at the left side bar, at the top. I have put slideshow of this event and Dr. B.K.S. Iyneger images. Footnote 3: Yes, I can recall, Sri Sri Ravishankar explained this word ABHINIVESAAtma does not loose his/her(?) body accidentally. in unique way. It is like… little fear. So that any Atma does not loose his/her body accidentally. Yes, Since long I was planning to write about my Google Gadgets. Today, I will introduce a simple gadget to you. "Global GSM Connections"
I saw dynamically changing numbers about global GSM subscribers at right bottom corner of GSMA website : http://www.gsmworld.com I dig further and located client side script, that updates this number. I reused that script in my new Google gadget and it is ready. Look at the first gadget at your left side bar. You can all add this gadget by inserting this code in your HTML page. You can add this gadget to your iGoogle page, Google Desktop and Windows Vista sidebar. Click here for source code. The logic is straight forward. 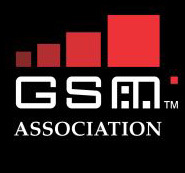 GSMA has forcasted at the end of this quarter, how much GSM subscribers will be there. So one can determine the rate, per second how many subscribers should be added to achieve this target. We know at the beginning of this quarter (1st Sept, 2009) how many subscriber were there. So with linear formula, we can determine, at present, how many GSM subscriber should be there. Simple. As GSMA mentioned "This number is indicative only, estimated from market data collected by Wireless Intelligence. It is not a precise figure, nor usable for legal purposes." I may write something more about my journey to develop useful, interesting, popular Google gadget. Are you interested to know? I am back, after a long gap. This time, I want to share some knowledge about IPSec. IPSec is, a kind of framework that specify how to transfer your data over unsecured network. Internet is omnipresent but, untrusted/unsecured network. Anyone over Internet can see your data, alter your data. The solutuin is IPSec. VPN uses IPSec protocol. VPN is used to connect to your office/coportate network using Internet. Bank transaction uses IPSec. 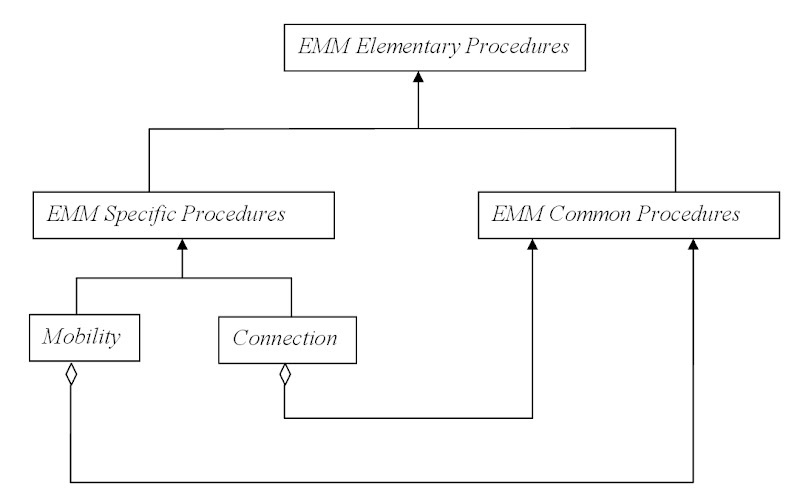 The connection between two mobile operators' PLMN is over IPSec. Femtocell connects to core network of mobile operator using IPSec. IPSec provides security by encrypting the data. It may also add authentication header, so if someone alter/temper the data, one can detect it. It implements some proven complex matahemtical algorithms for encryption, authenticaiton and key exchange. Both parties perodically keep changes the sceret keys for robust implementation. IPSec has set of protocols defined in vrious RFC documents. It implement database to store the security association for each tunnel. It has its own challenges with NAT. I prepared a mindmap using FreeMind tool, as a summary. Have a look. So this day, inspired me to write a Gujarati poem with title “ASHAADHSYA PRATHAM DIVASE” (On the first day of month ASHAADH). You can enjoy it by clicking here. I want to remind you about Kalidas’s Meghadūta ("Cloud Messenger") associate with today. Those days, lovers were using cloud as messenger. In the block buster bollywood movie named “Maine Pyaar Kiya” a pigeon is used. Today everyone has mobiles, yet, lovers like that fantasy of using cloud as messenger. However, sometimes, the lovers may talk more with silence and is there any need of such communication methods? And so, when you are silent hushed, and you love it, then you have found that quiet corner in yourself… you have experienced Shhhhhhhh…waah!!! 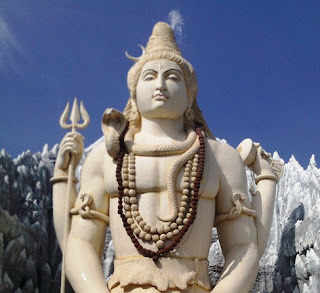 The essence of Shiva, who is quiet, meditative and blissful! Have a look to this nice butterfly. 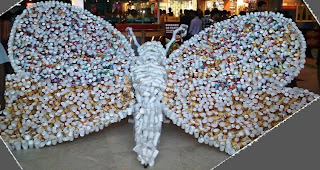 It is created out of colorful paper cups. My blog template also has butterfly image. So I captured this image to upload it here.